The premise for this film is difficult to sell. 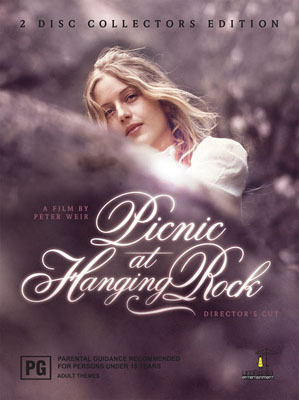 It's about a bunch of girls who go on a picnic. Sounds exiting, yeah I know. To make matters worse, it's a period piece. Yep, it's about a bunch of girl who go on a picnic, dressed in big dresses and not showing even so much as a pinky. And yet... there's something which makes the whole thing very good. As saying what that thing is will ruin the entire movie, I'll leave you wondering. Know that it is also, like many other cult films on this page, a rather slow and quiet experience. It was directed by the great Peter Weir, who also gave us the brilliant The Cars That Ate Paris.